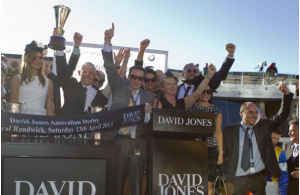 At iHorseBetting we are out to be the most informative online mobile horse betting magazine for the Australian punter. We are all about providing the most up to date and vital information the punter needs to be competitive. Our love for horse racing is only surpassed by our passion for writing about if for you. You can expect to receive the most comprehensive bookie info from us. We provide free bet info and where to find the best odds. You will find the latest mobile betting information that will allow you to be an effective punter from your favourite mobile device. You will find the bookies that offer the best banking options and see all the results from your favourite races. We are about serving you with the horse racing information you need. We totally enjoy writing about all aspects of the horse racing betting business. It is imperative to us that we make it possible for all punters to grasp and understand how the horse racing betting system operates. Please visit our Facebook page or contact us to provide any input on how we can serve you better.